The immune system. Yes, everybody has one. It’s pretty important to our health. But what the heck is it? In short, the immune system is a complicated network of organs, cells, and signaling molecules. Without this guardian, we fall prey to dangerous pathogens and toxic substances in the environment. The immune system can even protect us from harmful changes that occur within our bodies. With the exception of the nervous system, no other system in the body is as complex. Every day, biopharma researchers apply what they know about human immunity to treat disease. Now How Does This Thing Work? The immune system protects us from harmful invaders, including viruses, bacteria, parasites, and fungi. It may also recognize threats from within, such as cancer. The immune system has many components, working in concert for our health. The first defenses are physical barriers—such as our skin, mucus membranes, and the tiny hairs that line our upper respiratory tract. The barriers work to stop pathogens from getting in at all. When they fail, our cellular defense mechanisms kick in. As with so many other aspects of human nature, the immune system can be paradoxical. Our “bodyguard” fights illness and disease. But sometimes it goes haywire. When that happens, the immune system attacks us. This overactivity forms the basis for autoimmune disorders, such as Crohn’s disease and rheumatoid arthritis. More on that later. Our amazing bodies possess two kinds of immunity: Non-specific or innate and specific or adaptive. At the core of both of these responses are specialized white blood cells that recognize and attack foreign invaders. Non-specific immunity is our first line of defense against invading pathogens. Most white blood cells are non-specific defenders, meaning they attack in the same fashion regardless of a threat’s specific characteristics. Macrophages are one type of non-specific defender. When they encounter a virus or bacteria, they engulf and destroy it – think Pac-Man. Mmm—germs! Macrophages can differentiate between benign and harmful microorganisms thanks to a special receptor. Called a Pathogen-Associated Molecular Pattern, or PAMP, they’re found only on microorganisms that make us sick. Other non-specific defenders include neutrophils and natural killer cells. Neutrophils also recognize PAMPs and engulf invaders. Natural killers inject the protein granzyme B into invaders, which eradicates them. Once activated, non-specific defenders release inflammatory cytokines. These signaling molecules switch on other immune cells. The resulting inflammatory cascade helps ensure a rapid, comprehensive response. When non-specific defenses flop, it’s time to call in the cavalry — T-cells and B-cells. These highly-specialized cells make up specific (or adaptive) immunity. These cells are so specialized, each individual T- or B- cell only recognizes one unique target – usually a specific protein on the surface of an invading pathogen. This is possible due to their uniquely-shaped cell-surface receptor proteins. Depending on the exact shape of the receptor, a different target protein is recognized. 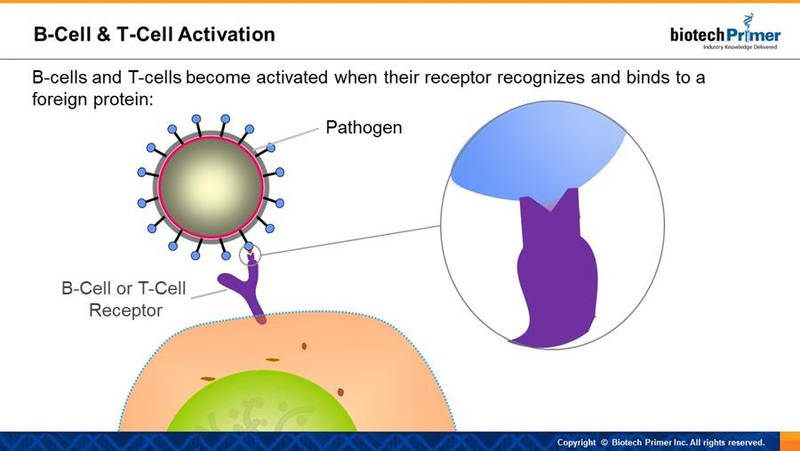 When a given receptor recognizes and binds its target, the associated T- or B- cell is activated. What happens next depends on the type of cell we are talking about. Activated T-cells divide rapidly and produce three distinct descendants: killer T-cells, helper T-cells, and memory T-cells. The “kids” all recognize the same target as does their parent. 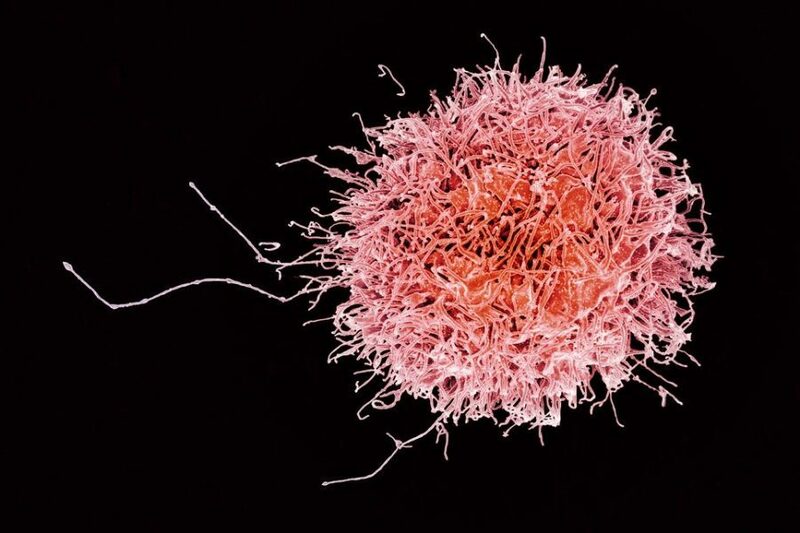 Killer T-cells roam the body, searching for their preprogrammed epitopes. When they find one, they jab it with granzyme B, triggering cell death. Helper T-cells release inflammatory cytokines that galvanize antibody-producing B-cells, killer T-cells, and macrophages en masse. The human immunodeficiency virus (HIV) infects only helper T-cells. In so doing, the virus completely cripples the immune response. Memory T-cells don’t defend against initial infection. But —- If they encounter the same epitope a second time, they quickly morph into killer T-cells and helper T-cells, which then take out the pathogen. Memory cells form the basis of immunity, quickly jumping in to defend against a recognized virus. Activated B-cells also reproduce rapidly and produce two types of descendants: plasma cells and memory B-cells. Plasma cells secrete antibodies – proteins that recognize and bind to bacterium or virally-infected cell that sports a matching epitope. The binding triggers other immune cells, such as killer T-cells or macrophages, to destroy the pathogen. Like memory T-cells, memory B-cells lie dormant, waiting to defend the body against the same foreign invader. The biotech industry has elegantly hacked the immune system to make important immunotherapies that use strategies derived from specific immunity. 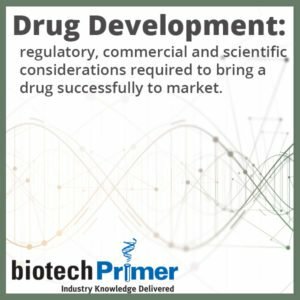 Scientists have developed monoclonal antibody therapies by selecting antibodies that recognize and bind to a disease-specific protein. A great example of this is Herceptin (Genentech; South San Francisco, CA). This lab-born antibody binds to the HER2 growth-factor receptor, which occurs in high levels on one quarter of breast cancer patients’ tumors. Herceptin mimics natural antibodies, compelling killer T-cells and other white blood cells to attack a tumor. Chimeric antigen receptor T-cell (CAR-T) therapies are T-cells whose receptors have been engineered to recognize and destroy cancer. Our body has a natural screening process — checkpoints to prevent autoimmune disorders. They stop T-cells and B-cells from assaulting our tissues. Checkpoint proteins send a cease and desist signal to T-cells when they encounter healthy cells. Many types of cancer actually make more than normal levels of proteins that activate these checkpoints, “tricking” the adaptive immune system into ignoring malignant cells. Checkpoint inhibitor therapies prevent cancer cells from triggering these checkpoints. This enables the immune system to work against the tumor. Our immune system is our friend, mostly. Still, an overactive immune system can cause serious problems, such as autoimmune disease. Chronic inflammatory disorders, such as Crohn’s disease, rheumatoid arthritis, and psoriasis wreak havoc by provoking white blood cells to target healthy cells and release inflammatory cytokines. 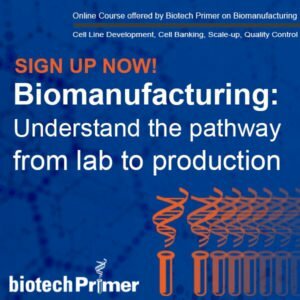 Biologic drugs that treat autoimmune disorders—like Humira (AbbVie, North Chicago, IL), Enbrel (Amgen, Thousand Oaks, CA), and Rituxan (Genentech)—shut down key parts of the immune response. Humira and Enbrel inhibit a specific inflammatory cytokine, TNF-alpha. These drugs are approved for a range of inflammatory diseases. Rituxan, approved for rheumatoid arthritis, reduces the number of B-cells that target the joints. Be it our body’s friend or frenemy, the immune system continues to challenge and reward scientists as they delve into its potential to improve human health. Next week, we’ll look more closely at antibody therapeutics, exploring the latest innovations.